There are no lessons for this week. Welcome to Days Thirteen and Fourteen! 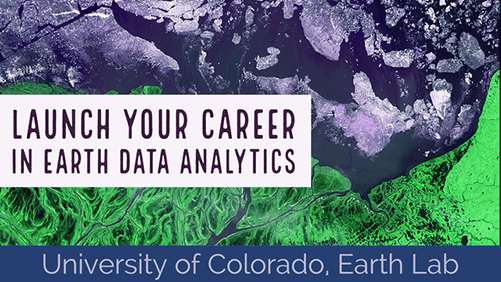 Welcome to Days Thirteen and Fourteen of the Earth Analytics Bootcamp! There are no lessons to complete. On both days, you will write Python code in Jupyter Notebook to complete your final project of this course. Important: Complete all course lessons and hands-on activities BEFORE beginning the final project. The final project is due Sunday, August 26th at 8:00 AM (U.S. Mountain Daylight Time). See this link to convert the due date/time to your local time.